Social isolation breeds and exacerbates emotional complications, such as anxiety, depression and relationship conflict. This is especially common in the postpartum period, when demands are high, and resources low. Furthermore, each individual enters a new family configuration with personal history and trauma, as well as cultural and lifecourse expectations, which often go unacknowledged. A high-quality, facilitated support group, can break down isolation, educate about, and normalize, the challenges of becoming a parent (or grandparent), as well as illuminate and validate explicit and implicit cultural messaging that plays a massive role in parental identity formation. In this workshop, participants will engage in a GPS group in order to witness and experience this unique group model. We will begin to deconstruct the trauma-informed elements that provide relief, perspective and safety, and how to integrate contextual issues of race, class and culture in a diverse group setting. Engage in an experiential learning of a GPS Group. Learn trauma-informed elements unique to facilitating groups. Explore how a facilitator uses group Guidelines to create a trauma and culturally sensitive, welcoming and empowering environment. Explore how the GPS integrates lifecourse issues of race, class, age and culture in a parenting support group. 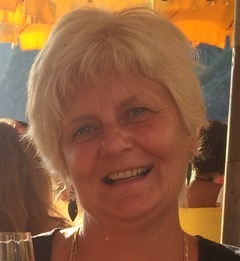 Annette Cycon, MSW has over 30 years of experience as a social worker, child and family therapist and group facilitator. She is the Founder of MotherWoman, author and Master Trainer of the MotherWoman Support Group Model, which she taught nationally. She is co-founder, with Liz Friedman, of GPS Group Peer Support, LLC, a training organization building the capacity of diverse group leaders nationwide. Together Liz and Annette have designed the GPS model to be utilized with diverse populations, such as perinatal mothers at risk for or experiencing perinatal emotional complications, women in recovery, maternal health care providers, parental bereavement, faith-based and peer groups in educational settings and many others. Annette is well-known for her expertise and training in perinatal mood disorders, group facilitation skills and the application of culturally competent skills in clinical and group settings. She is co-author of the GPS model and is a GPS Master Trainer in the US and Guatemala.